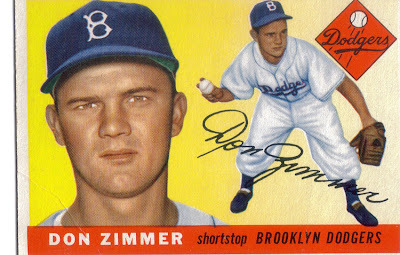 Don Zimmer (b. 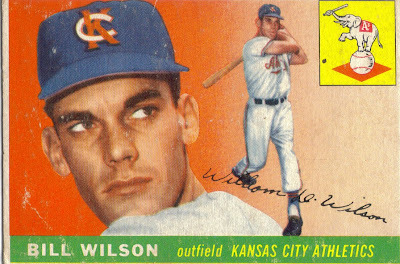 1931) played in the Majors from 1954 to 1965 for the Dodgers, Cubs, Mets, Reds and Senators. 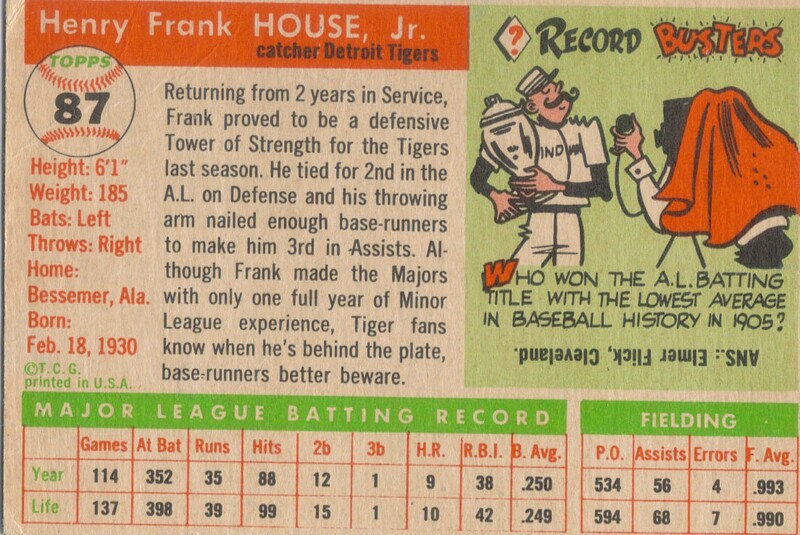 He had 773 hits, 91 home runs and a .235 batting average. He won the World Series with the 1955 and 1959 Dodgers. He was also an accomplished manager. He managed the Padres, Red Sox, Rangers and Cubs. He won the NL Manager of the Year award with the Cubs in 1989. Of all the players in this set, Zimmer is the only one I have met in person. 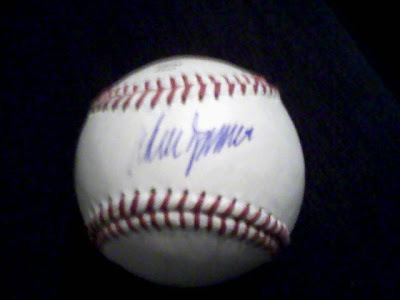 We met Zimmer last year when the Rays played the Durham Bulls in Durham. It was an exhibition game right before the season. He signed a baseball for me and posed for a picture with my son. He was really nice. It was definitely worth the trip. 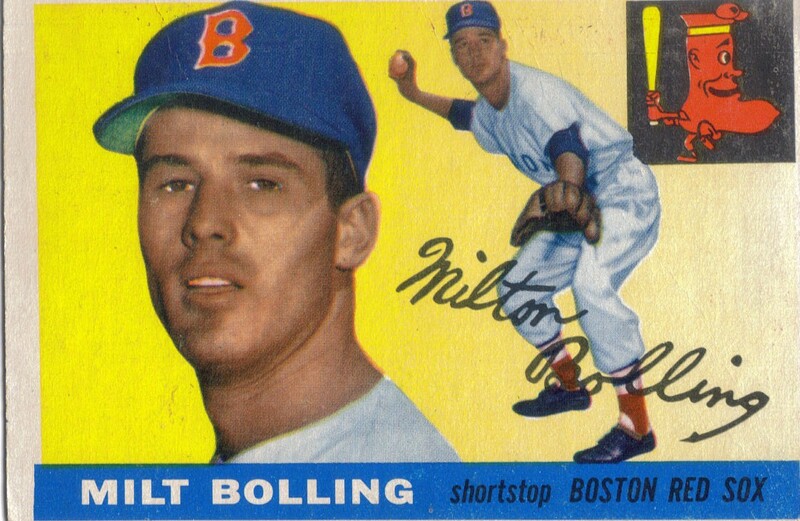 Milt Bolling (b. 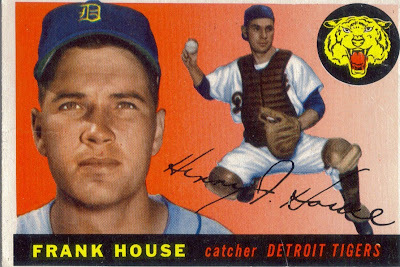 1930) played in the majors from 1952 to 1958 for the Red Sox, Senators and Tigers. 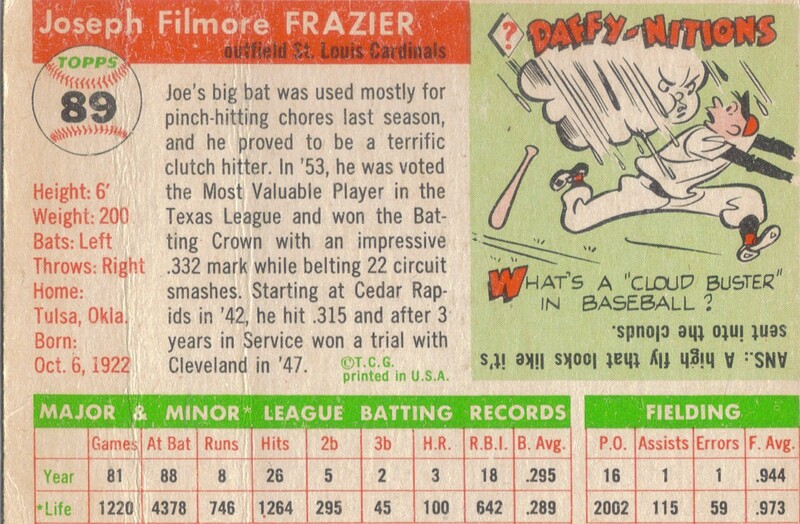 He retired with 280 hits, 19 home runs and a .241 batting average. After his playing days were over, Bolling served as a special assistant to Red Sox owner Ton Yawkey and then as a scout in his native Alabama. 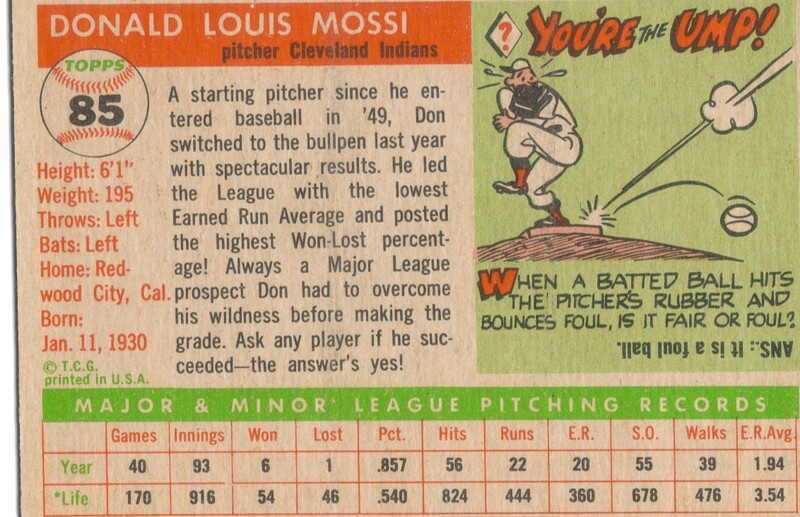 Ah, 1957 Topps. What a set! 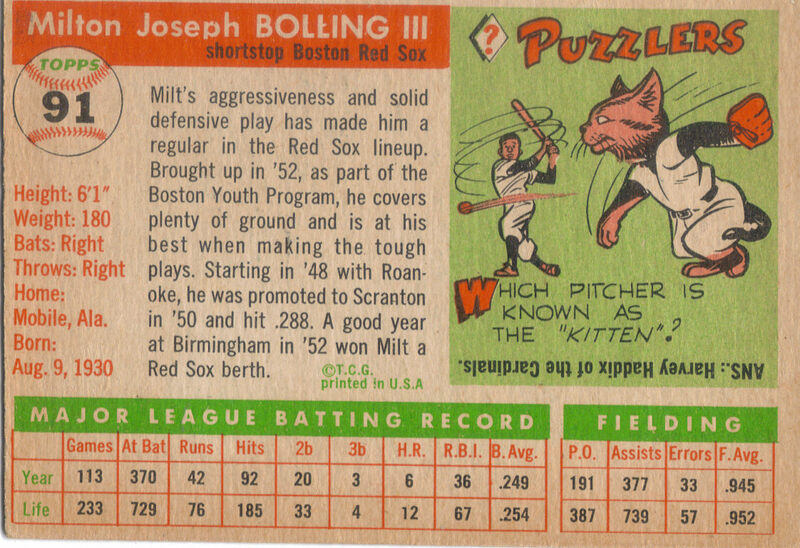 This is arguably one of the most popular sets that Topps has ever produced. 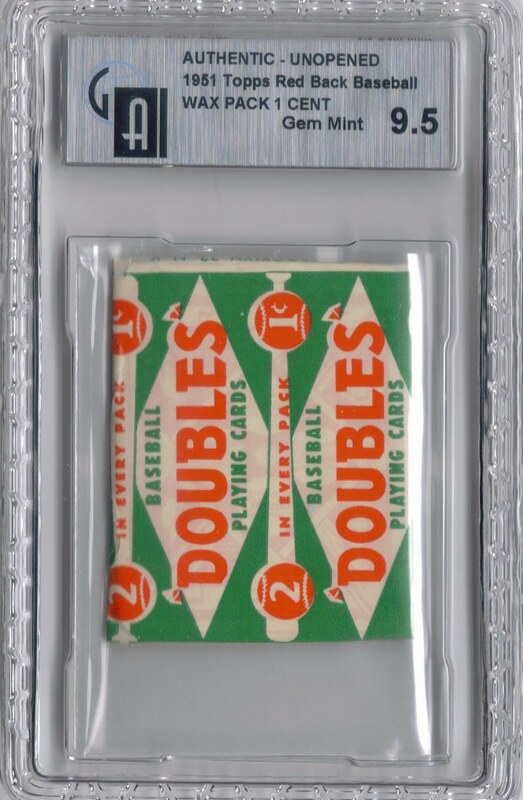 With rookie card of Don Drysdale, Brooks Robinson and Frank Robinson (to name a few), this is a very high-end set. I absolutely love it. 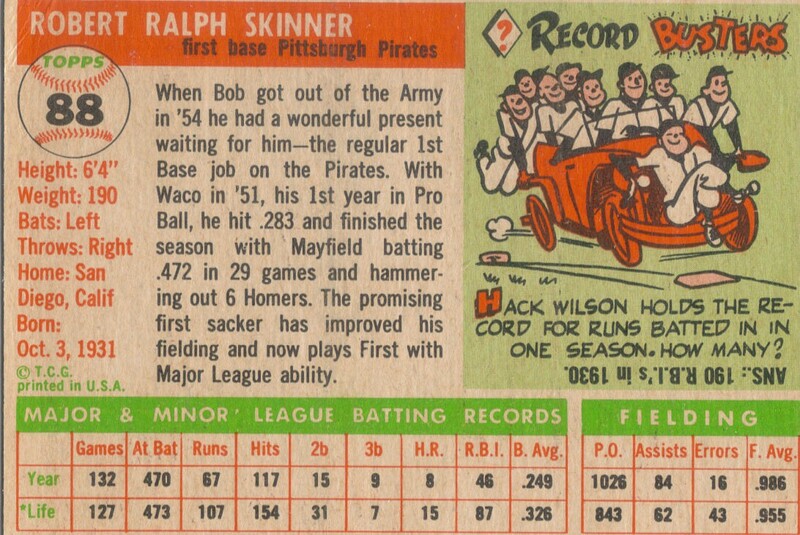 I picked up this card, along with several other '57s while at the card shop. A guy came in who wanted $20 bucks for his box of cards. He wasn't interested in making a lot of money, he was just wanting to get the shoe box out of his house. I love those days. 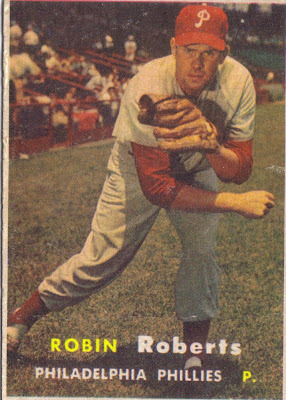 I only have 2 Robin Roberts cards so far, this one, and a 1965 Topps that my litle brother bought me one day at the shop. Roberts was a horse, pitching from 1948 to 1966 for the Phillies, Orioles, Astros and Cubs. Roberts died this year at the age of 83. 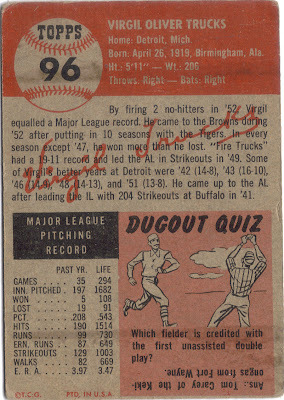 His autograph is still quite affordable on ebay, some as low as $50 authenticated. I fully intend on getting an autographed baseball of Roberts very soon. Its a shame that he's gone now, I have read that he was definitely one of the 'good guys' of baseball. Karl Spooner (b. 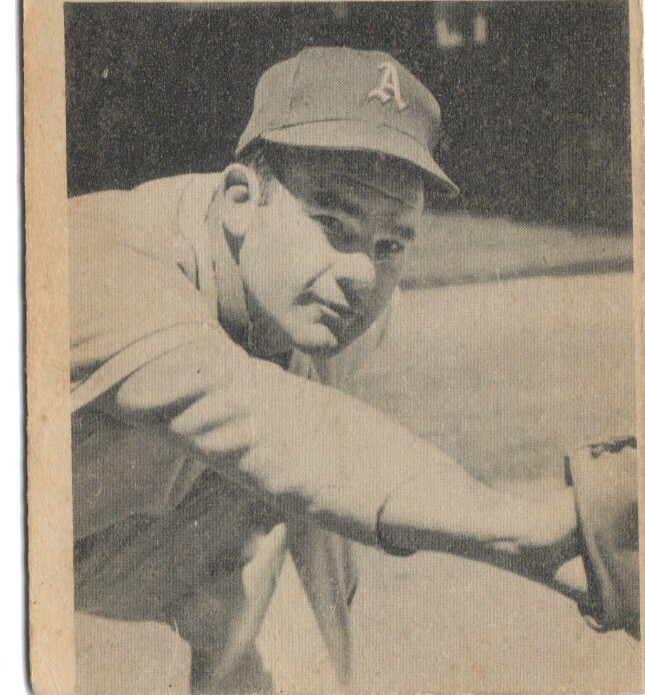 1931 - d. 1984) pitched for parts of 2 seasons (1954 and 1955) for the Brooklyn Dodgers. Take a look at the back of this card. 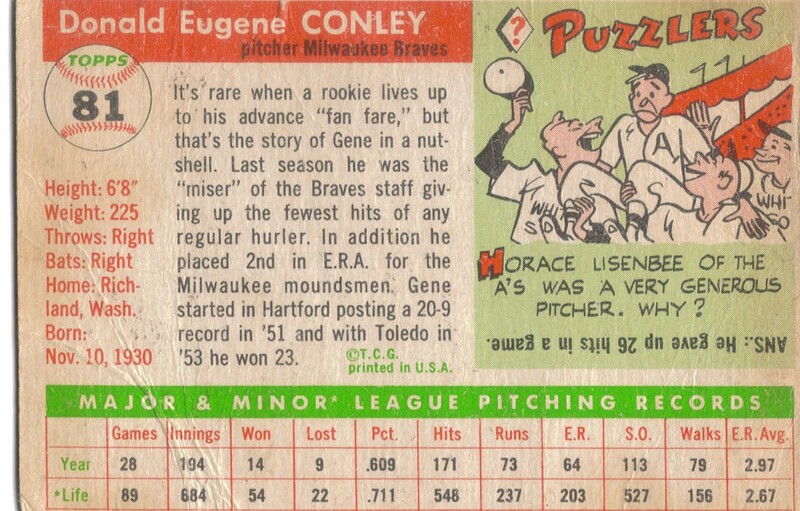 He pitched in 2 games (complete games, mind you) in 1954, he pitched 2 complete game shutouts and struck out 27 batters. Wow. 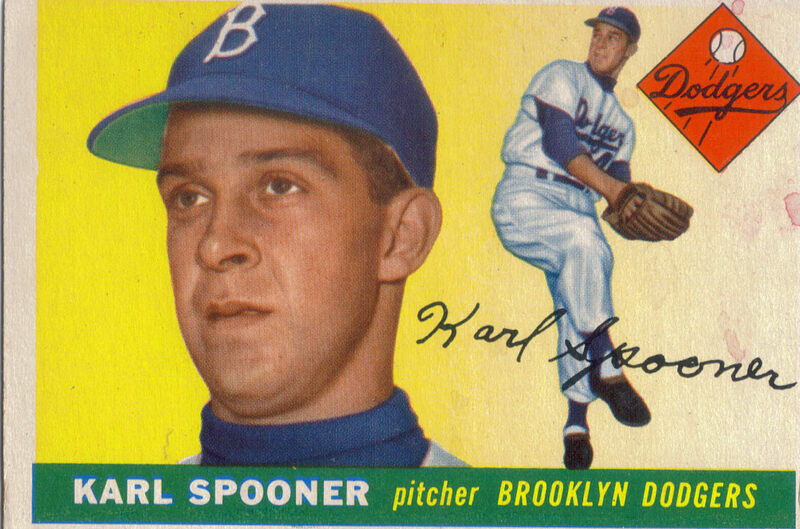 Unfortunately, during spring training in 1955, Spooner didn't warm up properly and severely injured his arm. 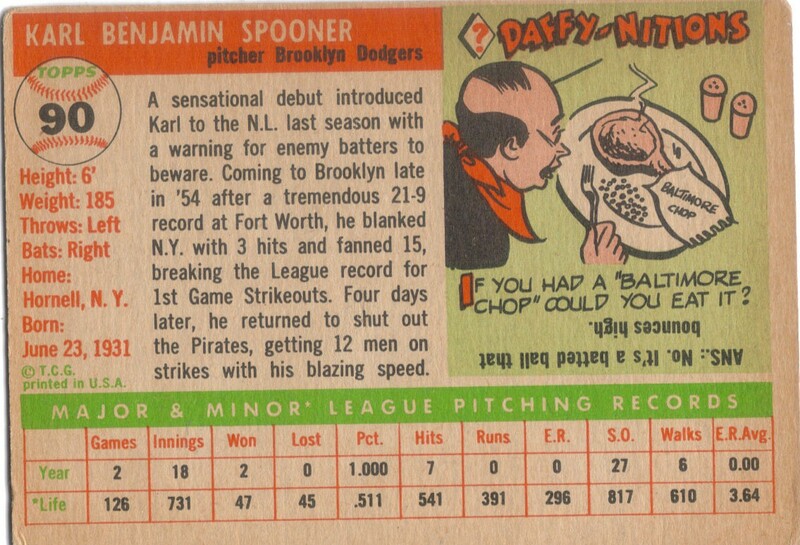 He only pitched a few games after that. 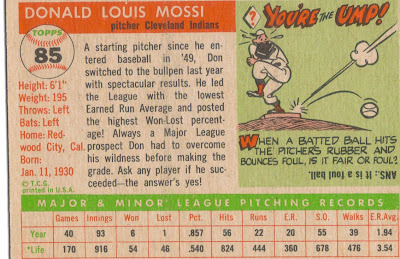 His final numbers were 10-6, 3.09 ERA and 105 strikeouts. Joe Frazier (b. 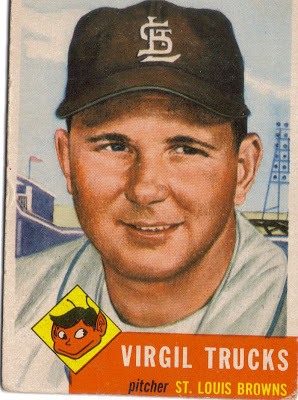 1922) played in the majors from 1947, 1954-1956 for the Indians, Cardinals, Reds and Orioles. 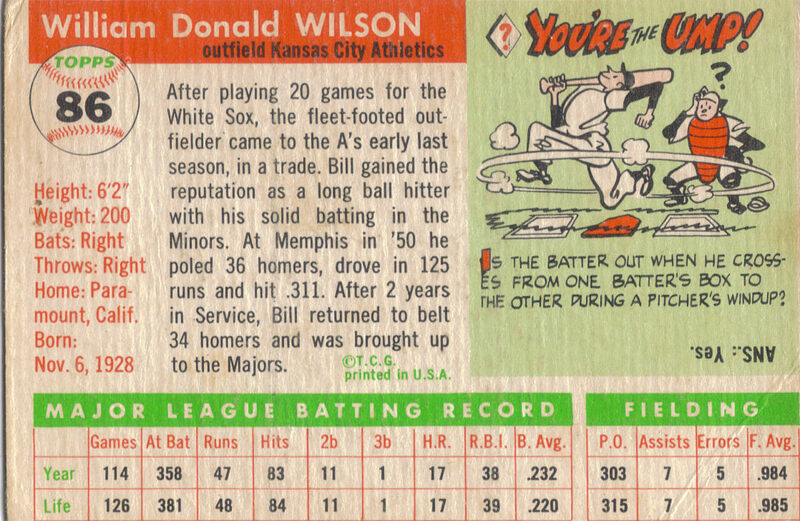 He had a total of 68 hits, 10 home runs and a .241 batting average. 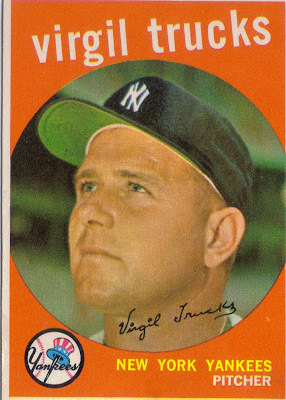 He was also the manager of the Mets from 1976-1977. I hope everyone had a great Christmas. I had a lot of traveling to do, so I wasn't able to do as many posts as I would have liked. We also got a good bit of snow here in Greenville, so that's always nice. Death to Mosquitoes!!! My mom, who always gets me cool stuff didn't disappoint this year when I opened my gifts. She got me this sweet Lansing Lugnuts jersey. She was going through the minor league mascots with me this summer and liked the Lugnuts mascot. I now have 3 jerseys of minor league teams: Lansing Lugnuts, Montgomery Biscuits and Kinston Indians. Mom also got me the little plush mascot. I have the Montgomery Biscuit too, so that makes two mascots... Cool!!! I need to figure out where I can display these guys. Pete found the redemption card for this 2010 Topps Chrome Brian Matusz auto at a card show for a steal. He, then, gave it to me as my Christmas present. THANKS PETE!!! Mom got me this graded 10 Cal Ripken 2001 Fleer Tradition with a piece of GU rookie season bat, which is really cool. I hadn't seen these before, so it was nice to get a Cal that I didn't even know about. Mom also put several packs in my stocking as stocking stuffers, two of which were these jersey/card sets. One was Andruw Jones, and the other was that Ken Griffey, Jr. Can never go wrong with Griffey. In all, it was a pretty productive Christmas. I wasn't able to spend a whole lot, but that's not what matters. I was able to spend time with my family and that is far more important. Thanks for everything Mom!!! 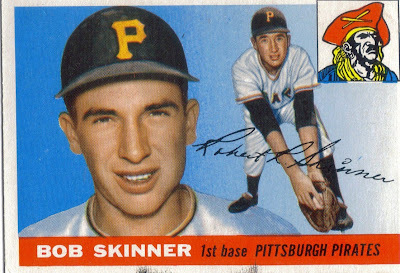 Bob Skinner (b. 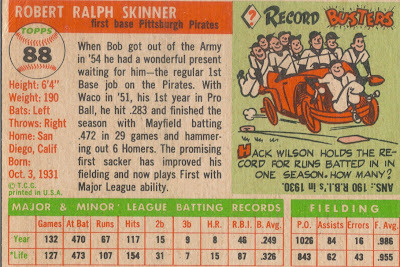 1931) played from 1954, 1956-1966 for the Pirates, Reds and Cardinals. 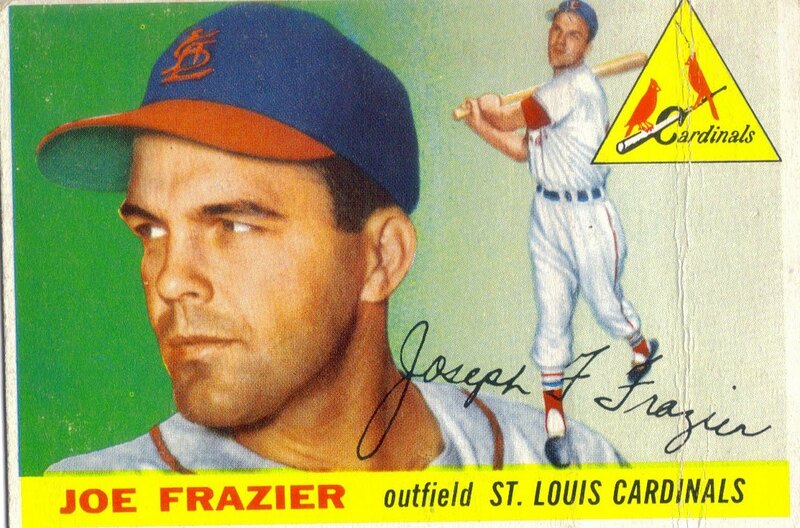 He retired with 1,198 hits, 103 home runs and a .277 batting average. He was a member of the 1960 world champion Pirates and the 1964 world champion Cardinals. After his playing career was over, he managed the Phillies and Padres (he managed the Padres for one game as an interim manager in 1977). He is now a scout for the Houston Astros. 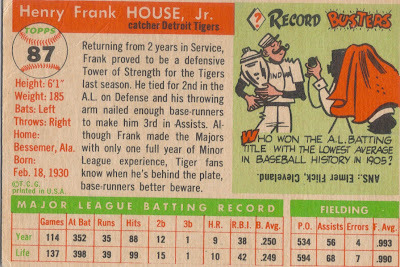 Frank House (b. 1930 - d. 2005) played in the majors from 1950-1951, 1954-1961 for the Tigers, A's and Reds. 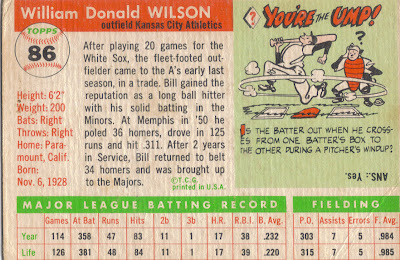 He had 494 career hits, 47 home runs and a .248 batting average. Bill Wilson (b. 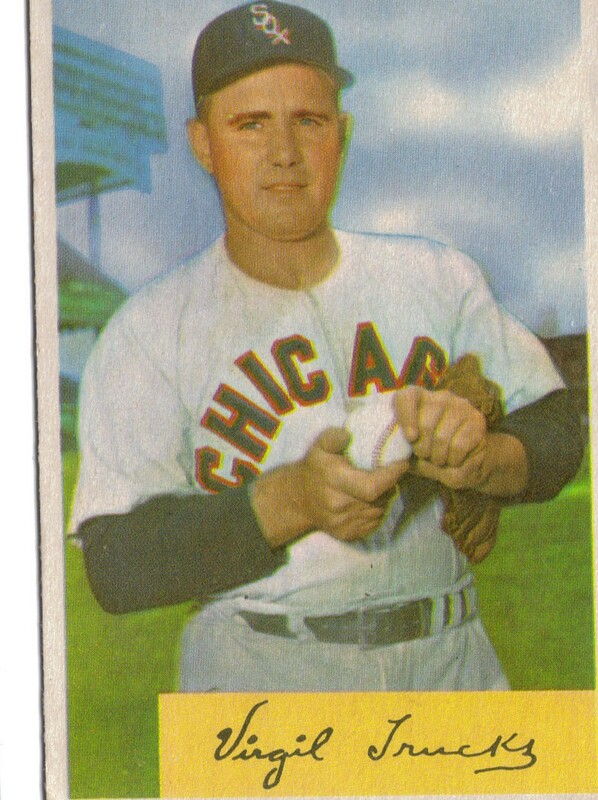 1928) played in the majors from 1950, 1953-1955 for the White Sox and A's. 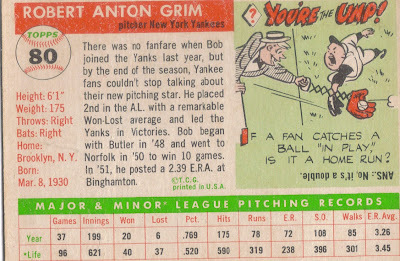 He was primarily an outfielder, although, he did pitch one inning in 1956. His final career numbers were: 145 hits, 32 home runs and a .222 batting average. 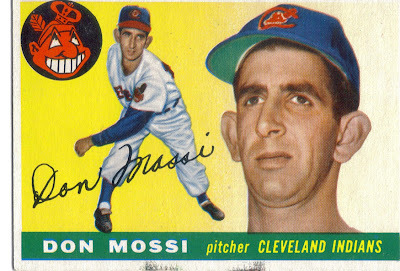 Don Mossi (b. 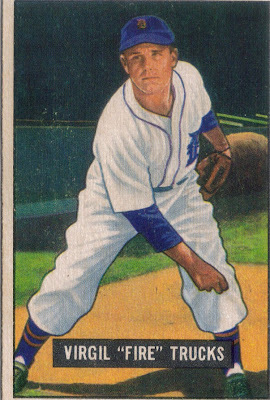 1929) pitched in the majors from 1954 to 1965 for the Indians, Tigers, White Sox and A's. 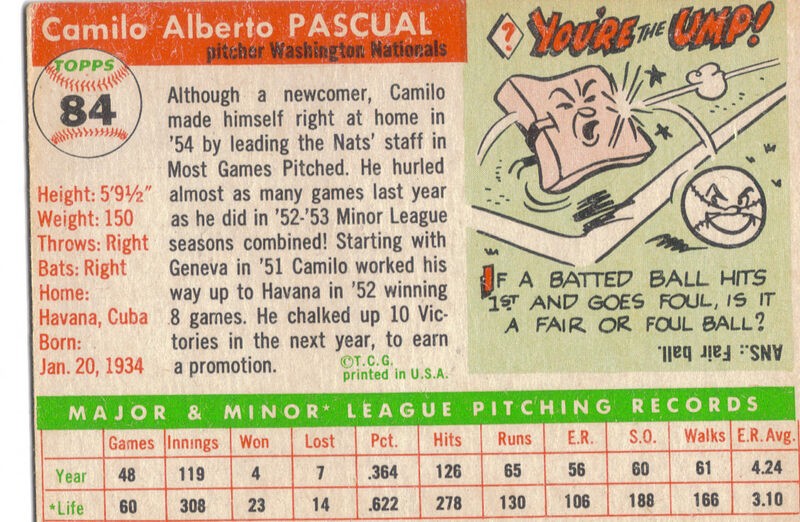 He had a career record of 101-80, 3.43 ERA, 932 strikeouts and 50 saves. 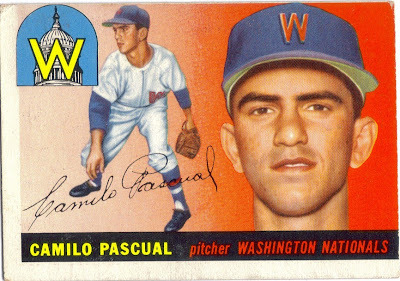 He was an All Star in 1957. Since Christmas is fast approaching, i thought I'd use a present that I got from my mom a couple years ago. 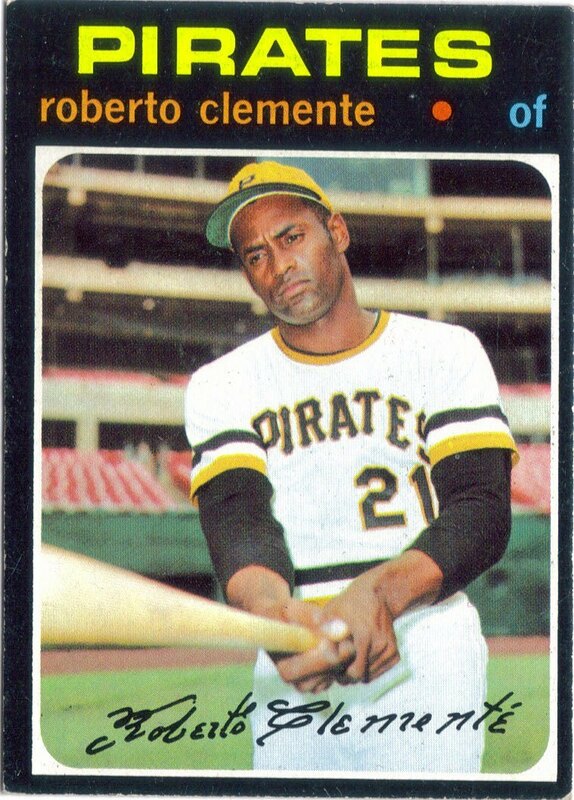 I picked up this really sweet Roberto Clemente during that trip. I've already gotten a good many of the star cards, and knocking the Clemente out cheaply was nice. I'm hoping I can pick up the other cards that the guy has for me soon, because I'd really like to get moving on this set. Tom Brewer (b. 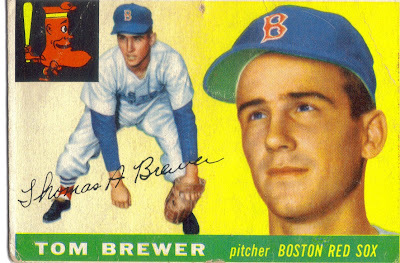 1931) pitched in the majors from 1954 to 1961 for the Red Sox. 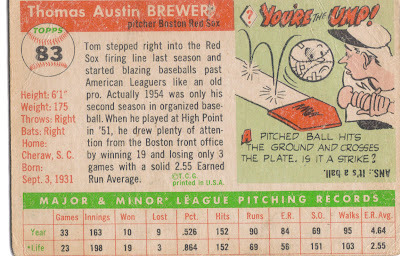 He had a career record of 91-82, an ERA of 4.00 and 733 strikeouts. 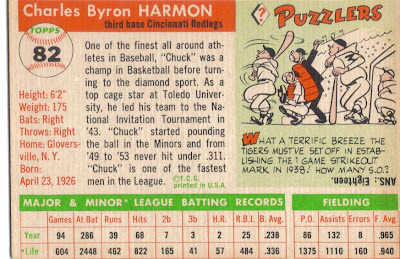 He was an All Star in 1956. 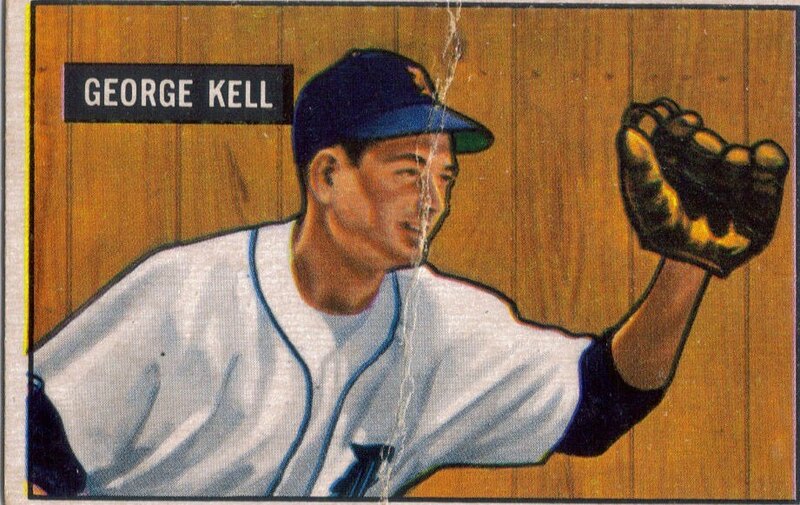 I needed a George Kell card to go with the autographed baseball I picked up last month. I like the 1951 Bowmans, so I knew when I saw this one, that it would fit nicely into my collection. 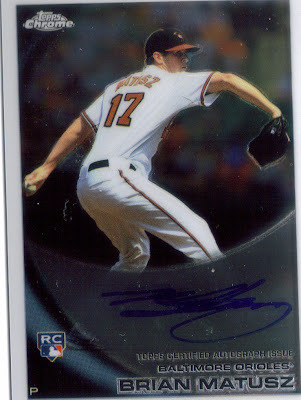 Because Topps likes to mock their set builders, I picked up this 2010 Topps 'card number 661' Stephen Strasburg by trading the guy in the neighboring booth a Matt Cain auto from UD Masterpieces. I think it was Masterpieces, or Artifacts. Oh well, tells you how much I remembered having it in my colleciton. 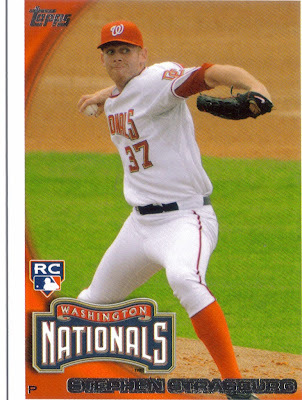 I was able to file thie Strasburg into my 2010 set, so maybe I can call it complete again. 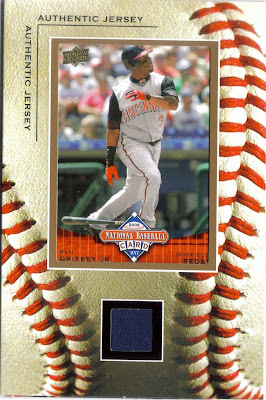 Or should I wait until they issue card number 662: Ken Griffey, IV. Hmmm. Finally, I traded my booth-neighbor a handful of 4/$1.00 cards for this Sweet Spot Brian Burres Mini Helmet Auto. 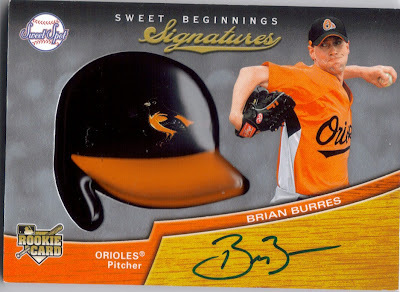 Burres was non tendered by the O's some time ago, but the card still looks sharp. I love the mini helmet idea. 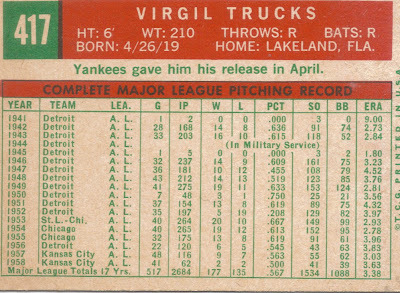 So, there you have it, I got several Virgil Trucks cards, a mini helmet auto, 3 1948 Bowmans, a Stephen Strasburg and a vintage Bowman of a Hall of Famer. Not too shabby. I have one more thing I got from the show that I will post later, nothing momentous, but I will have to wait to get the box out of my car, and seriously guys... it's cold outside, and I'm lazy. So, maybe tomorrow, ok? Haha! Hope you have enjoyed! Chuck Harmon (b. 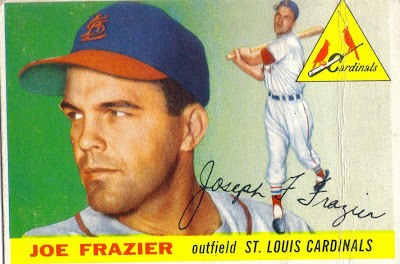 1924) played from 1954 to 1957 with the Reds, Cardinals and Phillies. 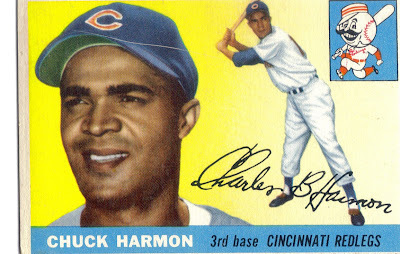 He was the first African-American player to play for Cincinnati. He ended his career with 141 hits, 7 home runs and a .238 batting average. My first 1953 Topps. I had always dreamed that my first '53 Topps card would be the Satchel Paige. Oh well, I'll own it one day. 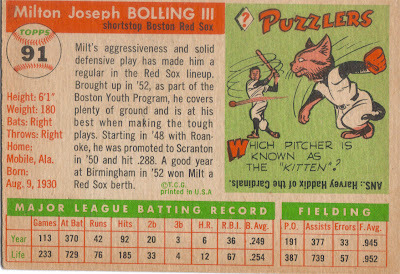 I really like the 1953 Topps set. The cards look SHARP. 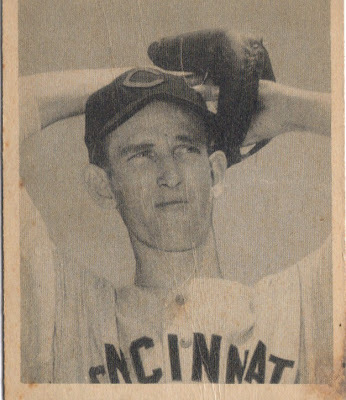 I don't have to many Browns Topps cards, I'm sure there was a Brown in '51 Red Back, but I haven't looked in a while. I have a couple '51 Bowman Browns cards that I got a few shows ago. 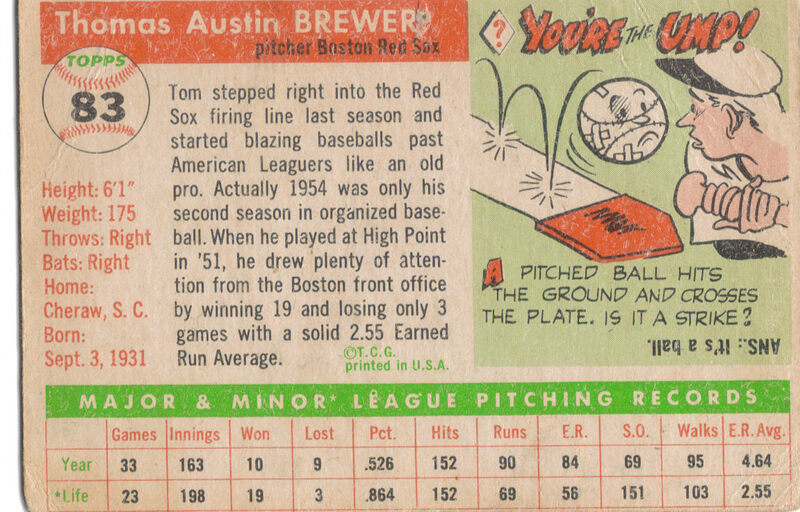 I think the back of the '53s are really cool, too. I like the signature over top of the bio. 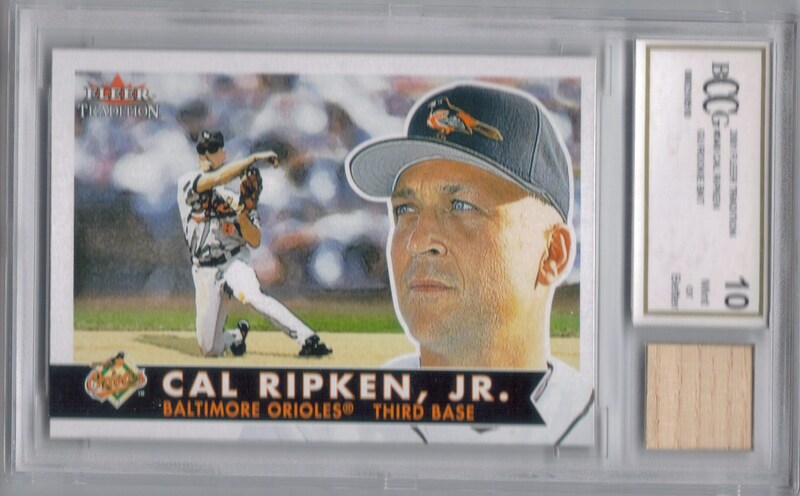 It accents the back pretty well, and as far as I can remember, it is the only Topps set in which they do that. I bet it is something that Topps will revisit in one of the upcoming flagship sets. I'm surprised they haven't done that already. 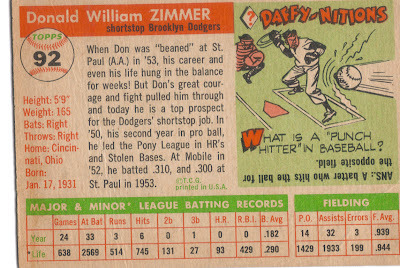 I like the back of the '59 Topps as well. It is pretty simple, just bold colors and stats, nothing else. There are very easy to read card backs for sure. I just happened to find this 1954 Bowman Trucks while walking by a vendor. I had just bought the 3 1948 Bowmans that I found Saturday and was walking my change back to my booth and I saw a guy with binders of vintage cards. I asked him if he had and Trucks cards and he flipped right to this one. The card is in great shape. He had a sticker on there for $20, but said he'd sell it for $5 (wow) and I said that I only had $4 in my hand, and he said SOLD. SWEET!!!! The back of this card is sharp as well. I really think I got a steal when I bought this one. I'm sure it was because I asked for a 'random' player and the guy had it. I think it is a bit of a travesty that not many people know who Trucks is. 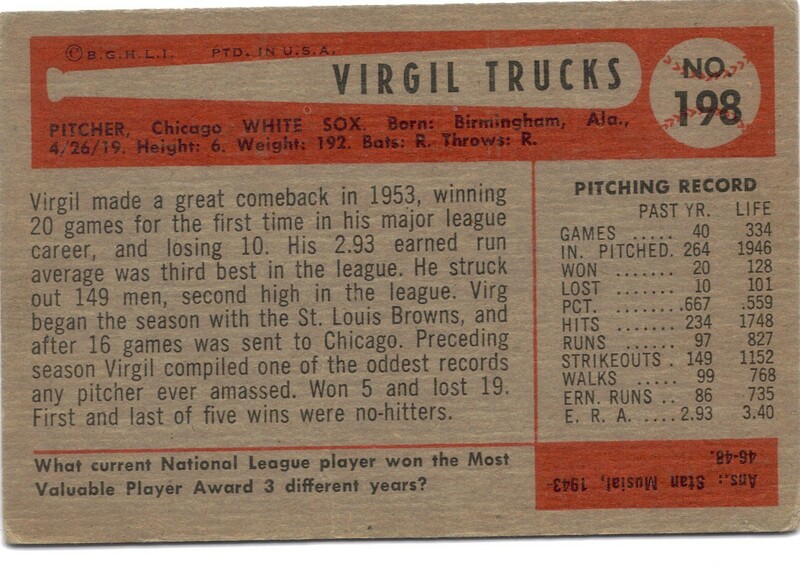 Finally, I bought this 1951 Bowman Virgil Trucks from the same vendor who I bought the '53 and '59 Topps from. I felt bad for the poor lady who helped me find it. She was sitting at her booth, bored, and offered to help me search for Trucks cards. She found this one after searching for a bit, so I had to buy it. I loved the booth I bought it from, they had a crap load of vintage stuff, it would be real easy for me to fill a vintage set with the stuff that they had. I'm definitely going to buy from them again when I need some vintage stuff. 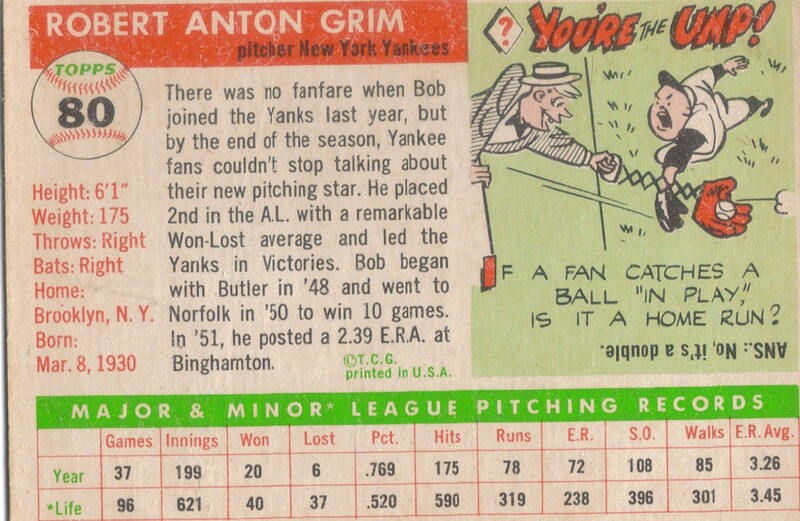 I sure wish they had a better selection of 1948 Bowman, though. I think I would be able to knock out a bit of that set for sure. 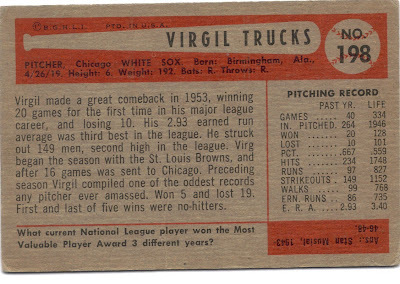 I feel like it has become a bit of a mission of mine to educate the masses about Virgil Trucks. It is a shame that more people aren't aware of who he is or what he has accomplished. I tell everyone I can about how awesome Trucks was with TTM and how good he was when he pitched. If you haven't already, please do a search on him and read up. You will be thoroughly impressed. Gene Conley (b. 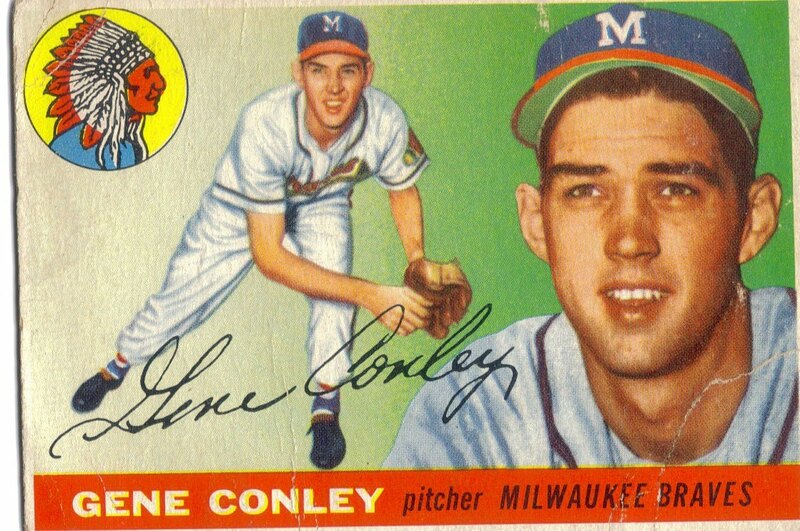 1930) pitched in the majors from 1952, 1954-1963 for the Braves, Phillies and Red Sox. 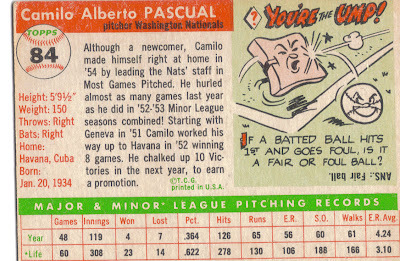 He had a career record of 91-96, 888 strikeouts and an ERA of 3.82. He won the World Series with the Braves in 1957. He is also the only person to win a championship in 2 of the 4 major sports (he won NBA titles in 1959, 60 and 61). He played in the NBA for 6 seasons, 4 with the Celtics and 2 with the Knicks. I'm exhausted. 900+miles driven over three days will take a toll on you. I had to: Drive from Greenville to Winston-Salem Thursday after work so I could meet up with my in-laws and drop my son off. I slept over at my parents' house Friday night, then got up early Friday morning so that I could meet Blake (the guy who owns the card shop) at 9AM to load up for the card show. I had already loaded up my stuff Thursday evening, so my little Cobalt was packed after I left the shop. This was my first attempt at selling anything at a show, so I wasn't too sure what to bring. I grabbed a bit of everything. Friday was kind of slow, there were a lot of people browsing, but not too many buyers. I did have one guy, though, who searched some of my 5,000 ct boxes and bought a good bit of oddball historical/presidential cards. Saturday was really steady, until snow started falling, then everything slowed down. Pete came by with lunch and helped me for the rest of the day. 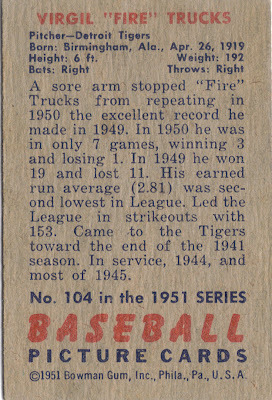 While he was manning the booth, I took a look around and got the 3 1948 Bowman's I blogged last night. 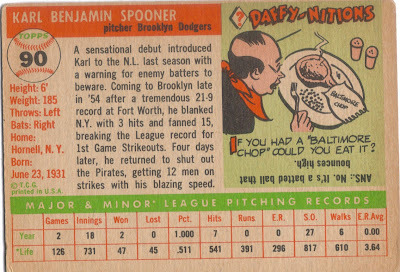 I also got another cool vintage card that I will blog later on. I sold a good bit of wax boxes for the shop. One discouraging thing, for sellers at least, is that there is a guy who is at all of these shows who gets his boxes dirt cheap from somewhere and undercuts everyone else. $189 for a box of Topps Sterling? Are you kidding me? Needless to say, I didn't sell a single Topps Sterling box for the shop. Sunday was slow all around. I sold more random singles than anything. Pete came again and helped all day, which was nice, cause I was getting bored. I walked around looking for more sweet vintage and I was able to find a few things you guys will see in a couple days. In the end, I sold enough of my stuff to pay for the table, and have a little money to take home. Blake gave me a little bonus for helping out, so it pretty much paid for the cards I picked up. I'm all about accepting cards as payment, and when you see what I got, you will agree. I have decided to attend the January 8-9 card show in Raleigh, too, so I hope some of you guys can come by and help me out by buying stuff!! 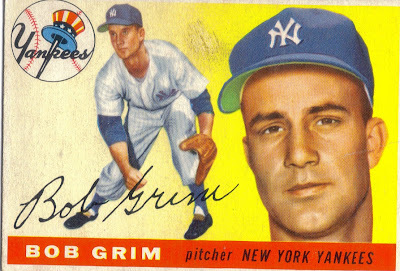 Bob Grim (b. 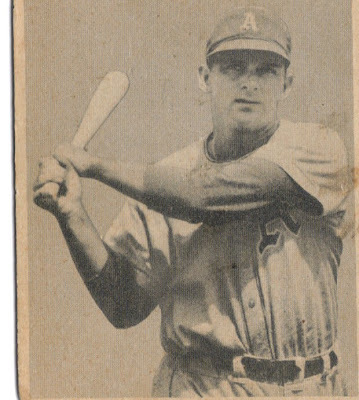 1930 - d. 1996) was the 1954 AL Rookie of the Year after posting a record of 20-6. 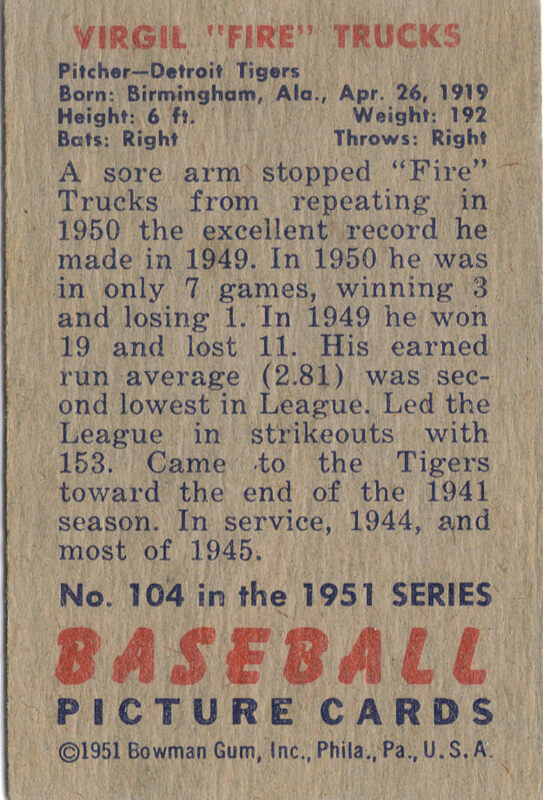 He would never match that win total again in a career that spanned from 1954 to 1960 and 1962. 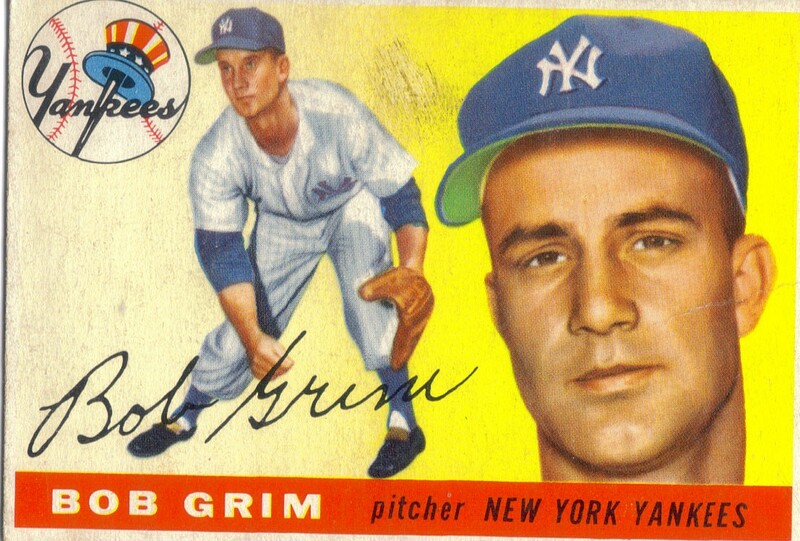 He pitched for the Yankees, A's, Indians, Reds and Cardinals. He had a career record of 61-41 with a 3.61 ERA and 443 strikeouts. He was an All Star in 1957. He was traded along with Harry Simpson to the A's for Duke Maas and Virgil Trucks. I like this set, there's not much to the cards, but sometimes simplicity works. I now have 15 of the 48 cards needed to complete the set, or 31%. Doesn't seem like I've gotten too far, but when you take note that I have gotten the Feller, Spahn, Musial and Schoendienst, I have done pretty well. I may look around again tomorrow, but we'll see. I got these 3 cards for $16 total, which isnt bad. I have bought a lot from the vendor, and I plan on buying more in the future. He's a really nice guy. I'll be back tomorrow night with more thoughts from the show.